Countless authors recount the legends of King Arthur and his court, but now you can witness the English myth for yourself when you behold the King Arthur Excalibur Sword with Plaque. An Arthurian crest adorns the pommel of this blade. Made of stainless steel, this decorative sword comes with a wooden wall plaque for easy display. 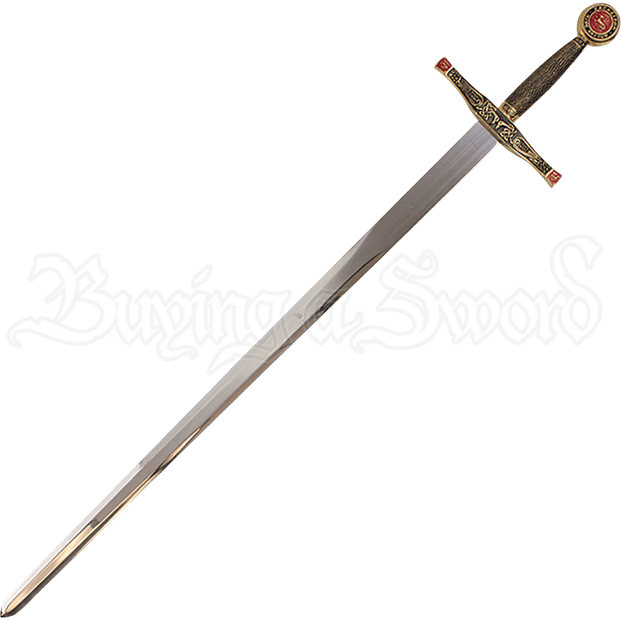 The straight crossguard of the antique brass tone hilt features Celtic knotwork and birdlike creatures decorating its surface, and the tips of its quillons are red. Contoured slightly for a comfortable grip, the handle is textured for a secure hold. 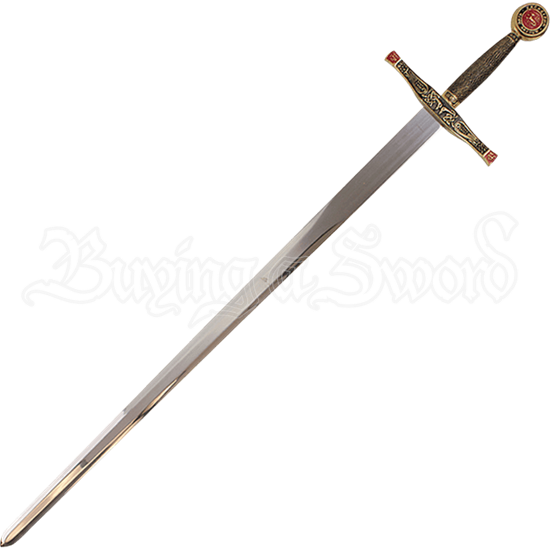 A round pommel finishes up this replica fantasy sword, displaying a heraldic dragon on a red background and encircled by the words EXCALIBUR and KING ARTHUR. A must-have addition to any sword collection, this Excalibur blade makes a beautiful display piece that adds medieval charm to homes and themed displays.